7th Karate-Do Goju-Kai Global Championships is open to current members of I.K.G.A. only. 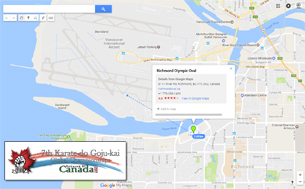 The 7th International Karate-do Goju-kai Association Global Championships at the Richmond Olympic Oval, in Richmond, BC. Richmond is a coastal city of British Columbia, Canada, and is part of the Metro Vancouver area. The Championships are open to IKGA members only, and is a premiere showcase event for members from across the world to get together to share in their karatedo with spirited competition. It's an event not to be missed! More information will be available in the coming weeks. Return here to stay up to date on this event.